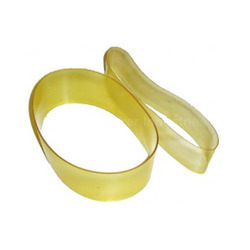 Leading Manufacturer of polyurethane apron belts and synthetic rubber apron belts from Coimbatore. We have uniquely positioned ourselves as a dependable manufacturer, distributor, trader and supplier of Polyurethane Apron Belts. The offered apron belts are manufactured by polymer that has higher abrasion resistance in accordance with market standards at our end. Along with that, these apron belts are provided in various specifications as per the needs of patrons at competitive prices. Backed by consistent efforts of our seasoned professionals, we are offering an exclusive range of Synthetic Rubber Apron Belts. Engineered to ensure excellent rubbing, these apron belts are manufactured using high grade material and advance machines at our end. The offered apron belts are widely accredited for its features like high abrasion resistance and dimensional accuracy. 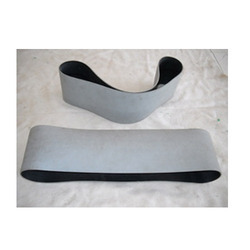 We are offering these apron belts on different specifications to choose from.